Oops…I just realized that I never sent these two workshops out to this list. 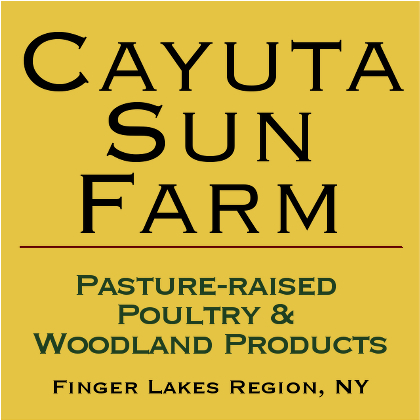 Call me at 585.506.6505 by 8 pm Thursday 5/29 if you want to attend Saturday’s farm assessment workshop. Call Olga at 585.690.1926 by noon on Friday, May 30th to register for Sunday’s mushroom workshop. 1. 5/31 Introduction to Permaculture Design and Site Assessment Workshop – Patty Love, Program Director of Rochester Permaculture Center (RPC), and Tanya Rogers, Farmer at Shimmering Light Farm, both programs of Seeking Common Ground, Inc., are partnering to bring you a hands-on introduction to permaculture design workshop and site assessment. We are limiting the class size so that you can ask questions and participate in this hands-on day. We hope you’ll join us at Shimmering Light Farm for this exciting event! Pre-registration with payment is required to hold your spot. Because this workshop is being held at a private residence, full location details (including address) will be provided upon registration and payment. Class size is limited to allow meaningful participation by all. To register, please call Olga at 585.690.1926 by noon on Friday, May 30th. *The workshop will be held rain or shine. Please dress to work and be in the weather. *Out of consideration for those who have asthma and chemical sensitivities, please do not wear fragrances, perfumes, body sprays, etc. to this class. Thank you. When you arrive: Please park in the driveway and then along front right of way with driver tires just on the pavement, passenger tires in the grass. Please note that I do not get to email, text msgs and voice mail every day, since much of my work keeps me in the field, teaching, growing, homesteading, etc. I look forward to responding to you as soon as possible. If you require my immediate attention or share my preference to minimize screen time, please call 585.506.6505.